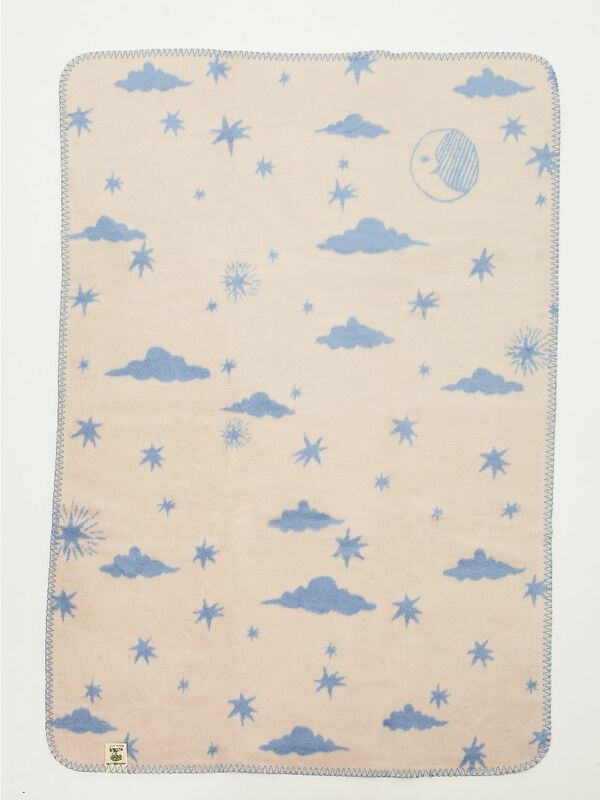 Night Sky beige and light blue baby blanket. 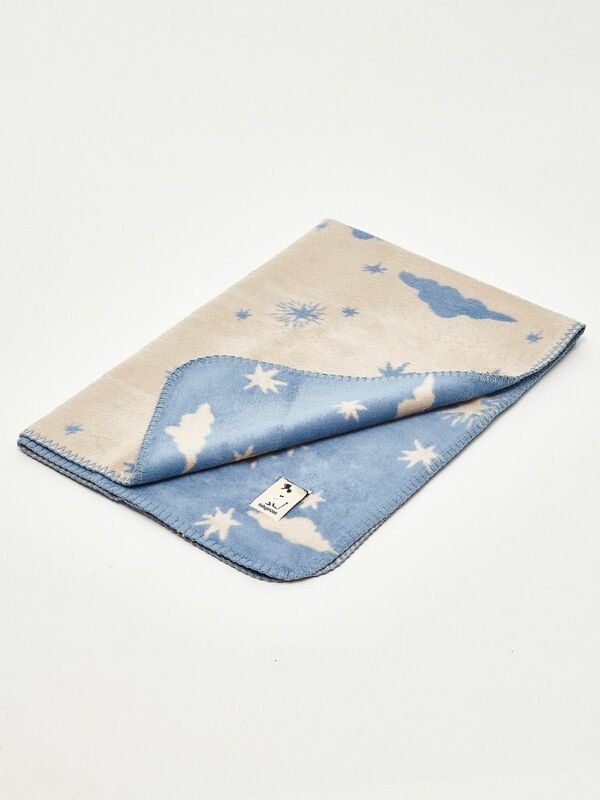 Made of super soft brushed organic cotton. 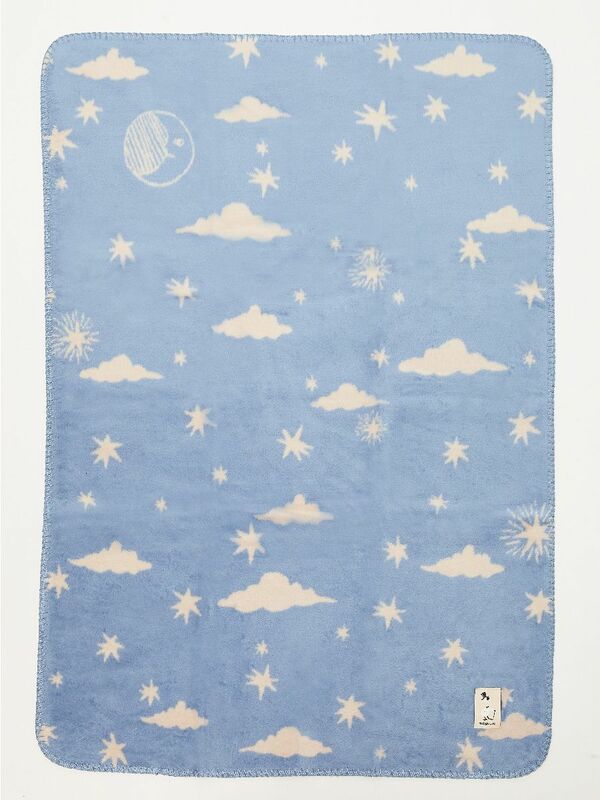 Dimensions: 75 cm / 100 cm ; 29,5 inches / 39,3 inches. Machine wash at 30 degrees centigrade, wool wash program.